experts if there is a better way to do this. This is not working for xlsx files. case you does not need DataSource. > This is not working for xlsx files. Try to remove DataSource parameter. > case you does not need DataSource. >> This is not working for xlsx files. > Try to remove DataSource parameter. I  have a problem when reading excel file using FireDAC with ODBCDriver. It always treat the first line in the excel file as heading (i.e. field name). In reality, the first line could be simply just valid data rather than heading. How can I read the excel file from the first line? range will be treated as a different table. > I  have a problem when reading excel file using FireDAC with ODBCDriver. > It always treat the first line in the excel file as heading (i.e. field name). In reality, the first line could be simply just valid data rather than heading. > How can I read the excel file from the first line? > range will be treated as a different table. I do have my data in different worksheets and each worksheets seems a table in FireDAC. My problem is that the first row in in each worksheet always read as filed names. so basically I lost first row data in each of the worksheet. A Named Range is a defined subset of cells in a Worksheet. Google will help you with this. >> range will be treated as a different table. > names. so basically I lost first row data in each of the worksheet. > A Named Range is a defined subset of cells in a Worksheet. > Google will help you with this. > > names. so basically I lost first row data in each of the worksheet. Thanks for explaining what is name range to me. I although have a lot relational DB (SQL) experience, but actually know nothing about Excel, except knowing it very powerful to create and work on tabular data set. I did a bit Googling, my understand is to use name range is like to use a pair of coordinates to locate whatever cell you want! is that right? If my understanding is right, I can implement it that way, but just felt it need quite some extra code that seems not necessary, if the FireDAC can simply treat the first row in an Excel worksheet as data rather than field name! 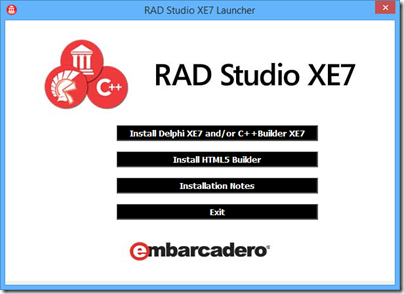 FireDAC and Delphi Pro XE4... firedac tab not visible? CFOworld.com.au covers accounting, risk management, taxation, technology and financial news from ASX-listed companies.